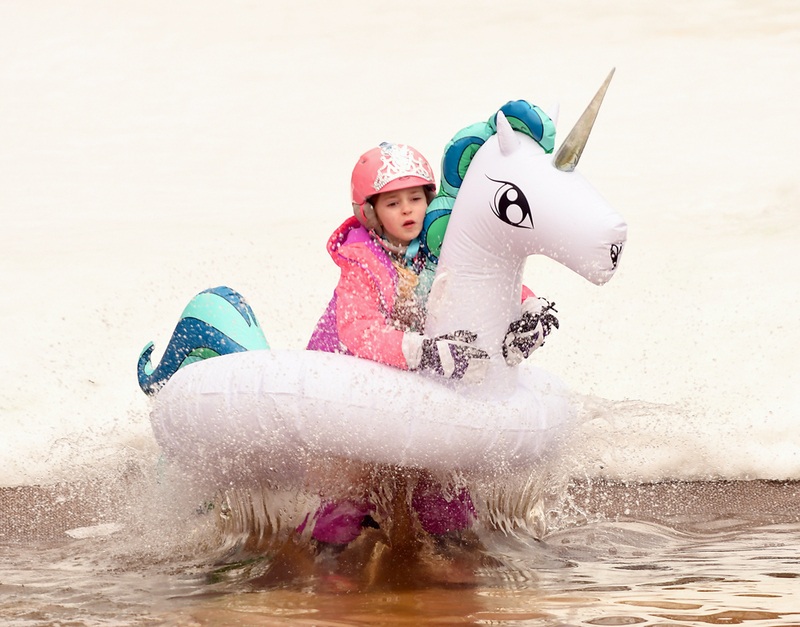 WILMINGTON — The Whiteface Mountain Ski Center hosted its annual International Pond Skimming Contest on Saturday, and despite the lack of sunny blue skies, a field of nearly 100 participants showed up to entertain the large crowd of spectators that gathered at the base of the slopes for the event. Lura Johnson was the winner in the women’s costume contest. 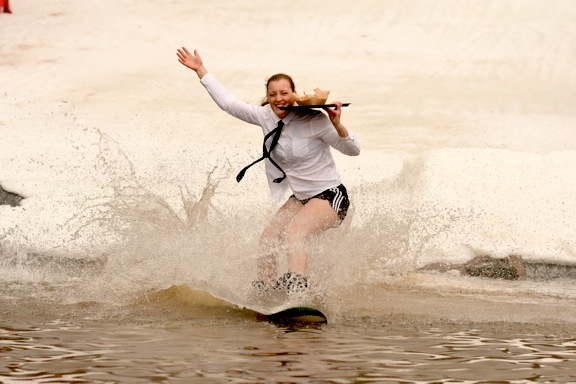 Johnson was dressed as a waitress carrying a tray, which she managed to keep dry. Ann Watts placed second and 12-year-old Elise McCleneghan placed third dressed as Raggedy Ann. 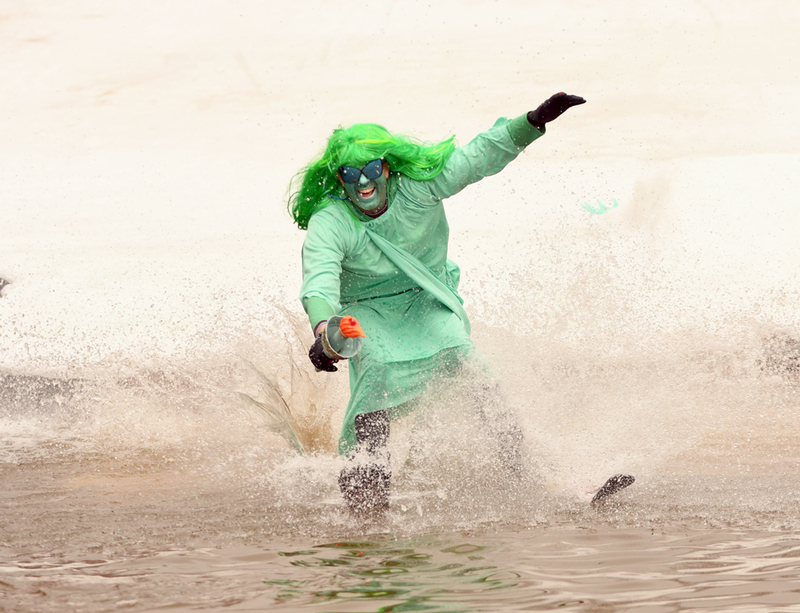 A first-time award went to Trevor Symonds and Mike Hendry, who splashed into the pond together dressed as members of Motley Crue’s road crew. 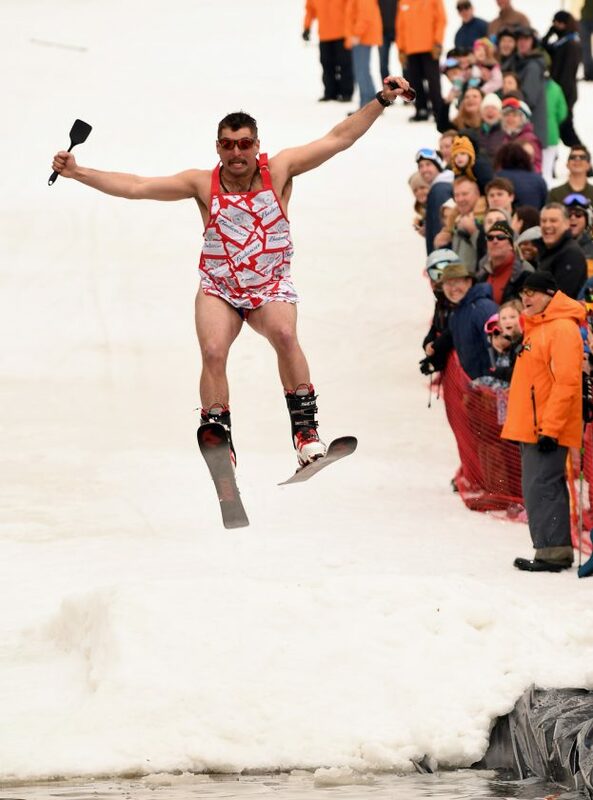 Dressed as the statue of Liberty, Tom Jegan walked away from the competition with a a new set of Rossignol skis as the winner of the pond skimming’s best costume award.